Daniel Alfredsson admits the uncertainty about Erik Karlsson’s future is making things tough for Ottawa Senators fans. For one day at least, two of the most prominent figures in Senators history were at the same venue in the capital region, as Karlsson watched Alfredsson compete in a local golf tournament on Tuesday. 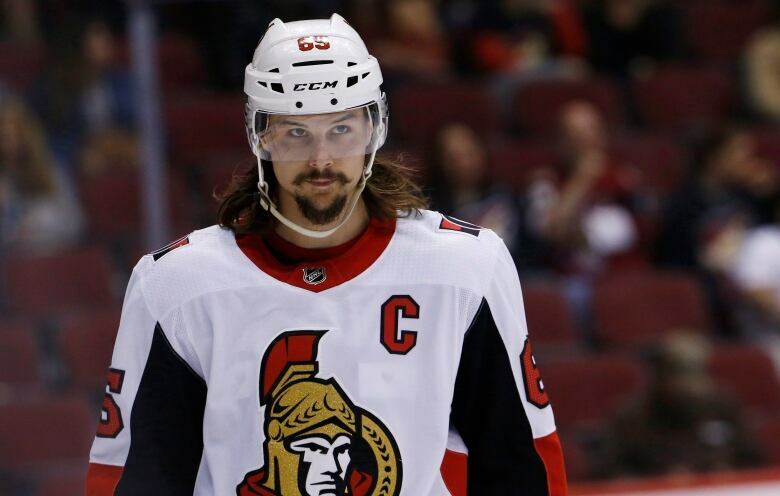 But with trade rumours swirling and the Senators dealing with all kinds of negative headlines in recent months, it’s possible Karlsson’s days with the organization are nearing an end. The Karlsson speculation is just the latest issue facing the Senators. Karlsson’s wife, Melinda, filed a peace bond against Monika Caryk, the fiancee of former teammate Mike Hoffman, last month for alleged cyberbullying. Hoffman, traded last month, and Caryk have denied the allegations. Meanwhile, assistant general manager Randy Lee is awaiting a court date for harassment charges in Buffalo and Alfredsson was quoted as saying he hopes the team gets a new owner to replace Eugene Melnyk earlier this year. Alfredsson, who offered no comment on ownership on Tuesday, has exited the Senators organization twice — as a player and as an executive. But he says he’s hoping Karlsson, a two-time Norris Trophy winner, sticks around. Karlsson did not talk to reporters on Tuesday. The Senators said they offered the 28-year-old captain an extension on Sunday, but there has been no indication whether the star defenceman is interested in remaining with Ottawa after his contract expires at the end of the 2018-19 season. When Alfredsson and the organization couldn’t come to terms on an extension, the longtime captain left and played one season with the Detroit Red Wings. Losing the face of the franchise left many Senators fans stunned. Now, fans are left wondering if they’re about to lose another captain. Alfredsson said he feels for his good friend and former teammate. After retiring, Alfredsson returned to work with the organization as senior adviser of hockey operations, but left last summer with little explanation — leaving many to wonder the rationale behind his decision. Alfredsson believes the franchise can turn things around in time.